The Henry Center is pleased to make media from the recent visit by apologist Ravi Zacharias available to all free of charge. This audio has been professionally edited at a rapid rate and is now ready for the viewing public. 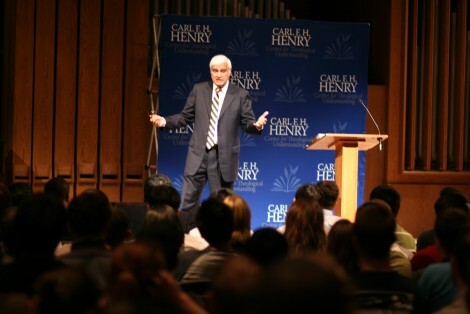 Dr. Zacharias’s visit galvanized the campus and has made an indelible impression on many. Engage the media below to see why. Click here to watch the interview with Dr. Zacharias conducted by pastor Steve Farish and HCTU Managing Director Owen Strachan. As noted previously, the Center was gratified to see hundreds and hundreds of people attend the lectures and tune in to the webcasts. We trust that these resources will go far and wide and benefit many in the name of Jesus Christ.